UNC Charlotte’s building boom continues to transform the campus of North Carolina’s fastest growing state university. 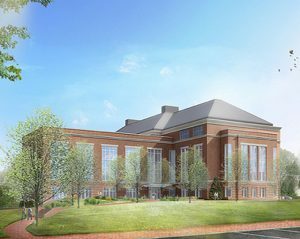 Dozens of projects large and small include the long-awaited new science building (set to open in 2021), a $66 million recreation center and a much-improved campus entrance on North Tryon Street. Among the major projects, the science center, costing $101 million, will replace Burson Hall, built in the 1980s. That building, in turn, is undergoing a major renovation. The $66 million recreation center, located near the Popp Martin Student Union, will provide much needed space for health, wellness and fitness services. The center is set for opening next fall. An expansion of the nearby Union Deck was recently completed. The university’s North Tryon Street entrance is getting a makeover. When finished this spring, the entrance will aesthetically match the main campus entrance on University City Boulevard. A building rising along University City Boulevard will house the campus’s greatly expanded admissions and visitors center. The building will open this spring. Read the most recent campus construction report. See progress reports of all projects costing $500,000 or more.